M uch faster high-speed 4G LTE internet. The frequency of cell phone signal booster amplifier i s the most important thing,if you choose wrong, the booster will not works well. Compatible Carrier : Support for AT&T LTE network 700MHz. CDMA 850MHz Cell Phone Signal 3G 4G Repeater Booster Amplifier Extender Antenna. The repeater device features easy installation & operation. Repeater Gain 80 dB. Repeater Coverage Up to 200 M². 1 x CDMA980 Cell Signal Booster. WeBoost Wilson Drive 4G-S Cell Phone Signal Booster for Car (Black) 470107. This item is open box to inspect the contents and in like-new excellent working condition. This unit is compatible with all carriers as it says on the packaging. I cannot offer returns as I'm not a retail store. Sold as-is. Buy with confidence! 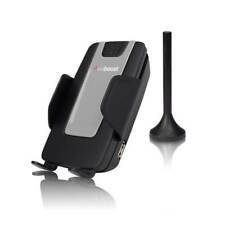 1 55dB 700MHz Cell Phone Signal Booster for Car. Much faster high-speed 4G LTE internet. This way of installation is good for our cell phone signal booster. The frequency of cell phone signal booster amplifier is the most important thing. Trending at $115.99eBay determines this price through a machine learned model of the product's sale prices within the last 90 days. 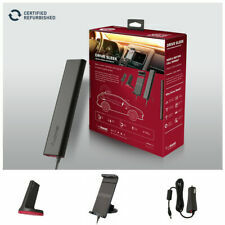 This car cell phone signal repeater booster could only work withBand 12/17 AT&T,T-Mobiel 700MHz 4G LTE network frequency. Emission Designator:LTE(G7D). 1 x signal repeater booster. This Cell Phone Signal Repeater Booster mainly use for car,truck,RV,boat. 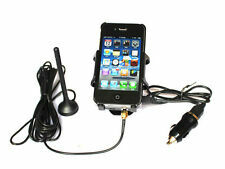 1 55dB 700MHz Cell Phone Signal Booster for Car. M uch faster high-speed 4G LTE internet. The frequency of cell phone signal booster amplifier i s the most important thing. This way of installation is good for our cell phone signal booster. These fees are non-negotiable. Product pictures may not reflect the most recent product revision. 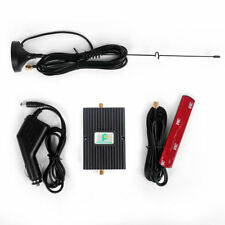 Signal Booster CDMA 850MHz Cell phone Signal Repeater Amplifier for Car vehicle. Works with CDMA 850MHz cell phone service providers. Support CDMA, 850MHz and any wireless operator in the frequency range of 824-849MHz and 869-894MHz. Works with CDMA 850MHz cell phone service providers. Support CDMA, 850MHz and any wireless operator in the frequency range of 824-849MHz and 869-894MHz. It could be used in areas where there are CDMA 850MHz Network. ONE (1) Brand new WEboost Drive 4G-X Car CellPhone Booster 470510 Easy install plug & play....Factory sealed never opened!!! Compatible withAT&T/Cricket/T-Mobiel which is working on the network 4G LTE and the frequency of 700MHz Band 17 & Band 12 only. Operation Frequency: 700mhz of Band 12 and Band 17. This model is specially. The weBoost 4G Slim Low-Profile Antenna for Cars and Trucks compact design makes it simpler to install, while giving you increased gain, allowing you to make calls, send texts and simply stay connected in your car, truck or SUV. Never experience a dropped or missed call again. This booster is ideal for your vehicle or boat. The booster works with 2G, 3G and 4G networks in US and Canada. This plug and play kit is quick and easy to set up. SureCall Signal Boosters. SureCall Fusion2Go 3.0 3G/4G LTE Cell Phone Signal Booster for Vehicles | SC-Fusion2go3. SureCall's Fusion2Go 3.0cell phone booster is a 50 dB gain. The Fusion2Go 3.0phone signal booster uses three primary components - an outside antenna, thecell phone amplifier, and an inside antenna. 14mm 18mm Male Female Glass Adapter Joint Slide Bowl Extension various size UE. New Billet Aluminum Low Profile Napa 4003 Wix 24003 Fuel Filter 1/2-28" 1/2" UE. Works with 3G WCDMA 2100MHz cell phone service providers.